Grass Roots Eventcom failed to return to profitability in 2011 after recording a £1.085m operating loss for the year. The agency had vowed to return to financial health in 2011 after suffering losses to the end of 2010. The 2011 figures filed at Companies House show turnover was £21.1m for the year, with gross profit of £9m. However, administrative expenses amounted to £10.1m, leading to a loss overall. Its loss after tax amounted to £1.184m for the 12 month period to the end of December 2011. Meanwhile, Grass Roots Tring managing director Andy Lister has left the company, following in the footsteps of global head of events Nick Bender, who left last year, and directors Amanda Litzow, Debbie Donaldson and Paul Nicholls. Grass Roots Group chairman David Evans said he and Lister had been "very closely associated for ten years, but could not see eye to eye on strategy". "It was my decision, after I consulted with members of the executive board," added Evans. "There are no plans to replace him." In its last annual accounts for the 18 months to the end of December 2010, Grass Roots filed an operating loss of £1.7m, compared to an operating profit of £550,000 for the 12 months ending June 2009. Its turnover was £43m for the 18-month period compared to £35.4m for the year ending June 2009, while gross profit was £12.7m compared to £8.5m. In its directors’ report to the 2011 annual accounts filed at Companies House, Grass Roots reports: "The results for the year were disappointing, with continued economic uncertainty impacting on clients and budgets. "In addition, there was added pressure on the financials as the business was restructured towards the end of the year to better align the operating costs with client requirements." Staff numbers dipped to 177 in 2011, from 201 the previous year. 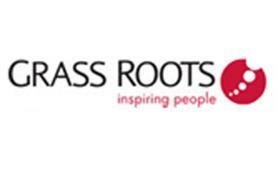 Grass Roots chairman David Evans said the company’s group accounts "represent the full picture". "As a PLC group we are inter-connected in a true sense and thus units of business are less relevant than the whole," he added. The accounts to the end of December 2011 for the full group – which includes communications services, measurement, rewards, education and events – show a turnover of £300m, with a total profit after tax of £1.9m, up from a loss of £3.8m after tax the previous year.